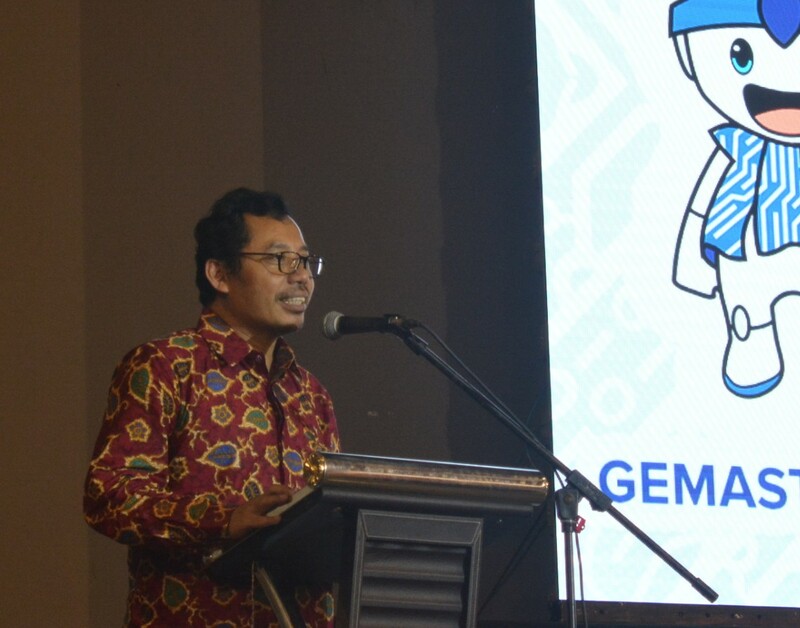 ITS Campus, ITS News – The prestigious 11th National Student Performance on Technology, Information, and Communication Competition (Gemastik) 2018 has reached its peak by the awarding of gold, silver, and bronze medals to the champions at ITS Robotics Center Building on Saturday night (11/3). In addition, the team from Sepuluh Nopember Institute of Technology (ITS) Surabaya managed to close the night with eight champion titles. 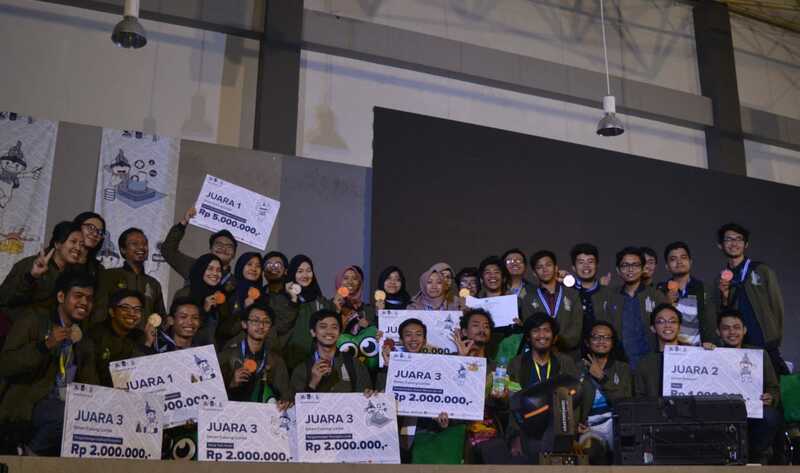 Among the eight medals, one was a gold medal which was successfully achieved by Kukangkung Team with team members: Nur Laili Sholichah, Muhammad Aldi Baihaqi, and Yasin Awwab in the category of ‘User Experience Design’ (UX Design). In the ‘Game Developer Application’ Category, three medals were also swept by ITS delegation. The gold medal was awarded to GG team which consists of Irman Kurniawan, Sirria Panah Alam, and Achmad Ibnu Malik Al Chasni. The silver medal was obtained by Reinkarnasi Team with members: Dicky Muhammad Priangga, Renal in Wahyudiono, and Nur Elviana Djahabiyyah. 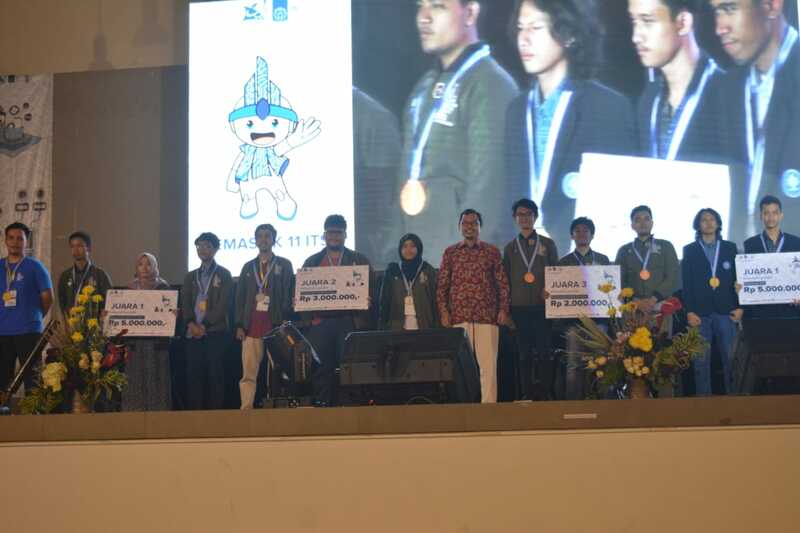 The bronze medal was obtained by the Miazaki Corps team consisting of Ilham Cahya Suherman, Reno Bahelwan Miazaki, and Firman Maulana who also received a bronze medal in the poster category. 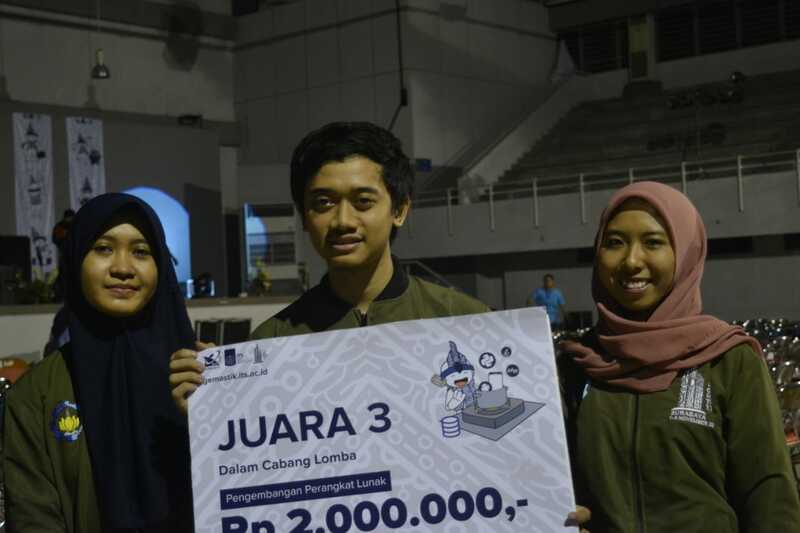 In the category of ‘Software Development’, the bronze medal was successfully acquired by XCute Team made up of team members: Ahmad Nur Salim, Siti Aminatus Zehroh, and Reynata Tri Damayanti. 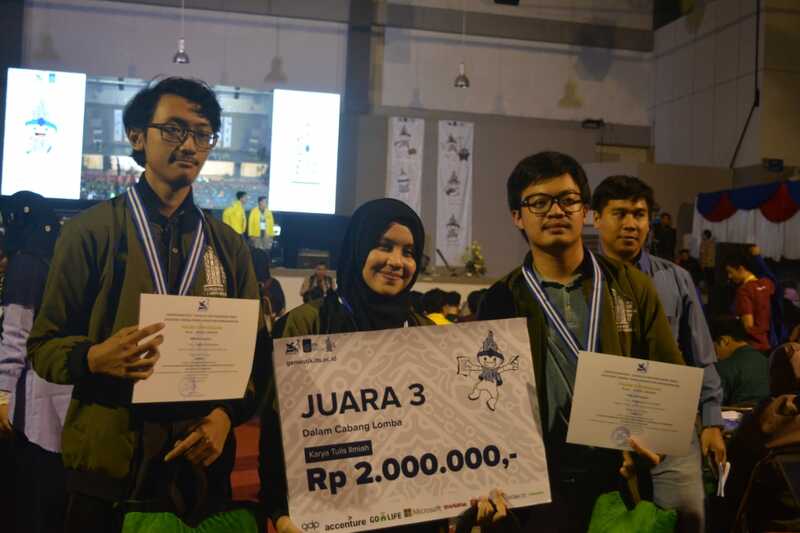 The Whizard team consisting of Rafi R Ramadhan, Irzal Ahmad Sabilla, and Widhi Mahaputra Pande Putu also received bronze medals in the category of Smart Devices, Immersion Systems and IoT (Internet of Things). The last two medals were one silver medal seized by Djotas III Team (Djohan Prabowo, Sirria Panah Alam, and Agatha Putri Adwitya) and one bronze medal by Takis Team (Muhammad Al Farisi Iskandar, Ubai Yusuf Siraj Samudera, and Hapsari Wulandari). Despite getting the most medals, ITS could not take home the Widya Samakbya Padhesa trophy as the general champion. The points obtained by ITS have not been able to surpass the overall champion, University of Indonesia, with a total of two gold medals, three silver medals, and one bronze medal.